Canary HEALTH provides a comprehensive guide to achieving a superior level of health and happiness in the canary. 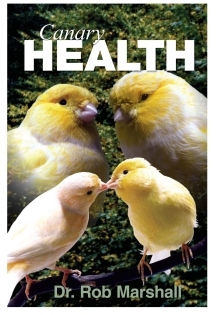 Dr. Marshall's philosophy of prevention, rather than cure, is the foundation and central theme to this thorough and easy-to-read reference book for pet and show canary owners alike. He discusses in detail the various diseases that may arise in canaries and how to treat and medicate them. 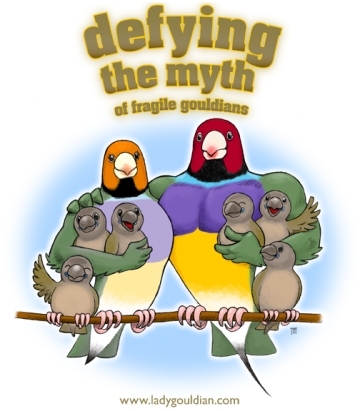 The troubleshooting chapter assists owners in self diagnosing problems and to facilitate rapid treatment. More importantly, Dr. Marshall helps owners to understand why diseases occur and how to prevent them. Canary HEALTH provides strategy of Seasonal Programmes for the ongoing care of canaries and an easy to follow guide to how to use Dr. Marshall's Health Products, guaranteed to produce the healthiest canaries in the world as they use only the best quality nutritional supplements. From the exhibition fancier who wishes to breed abd show top quality birds, to the pet owner who wants a healthy companion bird, this book offers valuable and extensive information in the care, breeding and prevention of disease in canaries.